20 phone conversations (and still not right). System fitted cannot cope with the power of the car. System fitted is damaging existing car components. LPG cuts out and reverts to petrol (cannot cope with the power of the car). This poor chap paid £2700 for the conversion! He hardly uses it and has had to buy another two cars - it spends most of it's time with his mechanic. Only Romano equipment was up to the job. 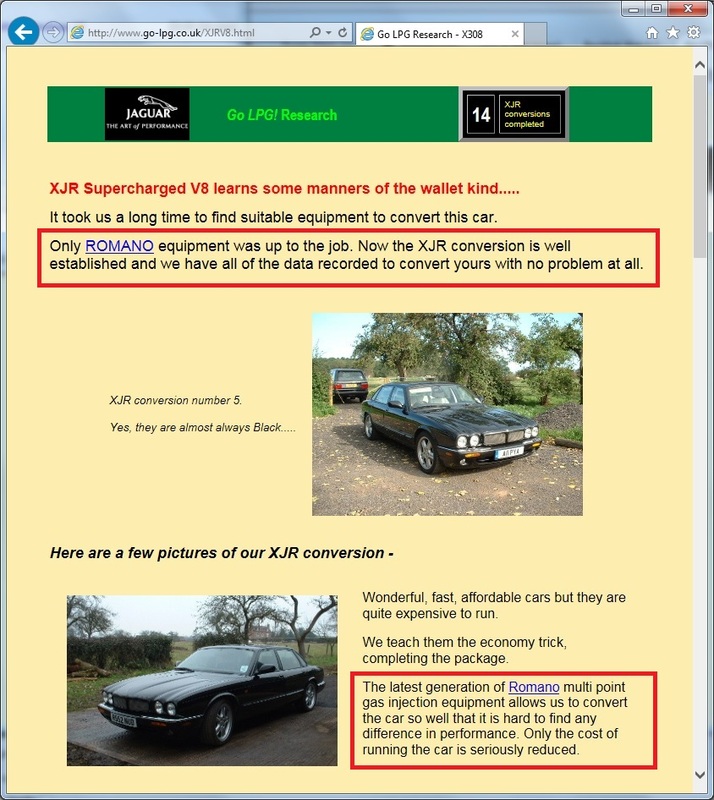 Now the XJR conversion is well established and we have all the data recorded to convert yours with no problem at all. The latest generation of Romano multi point gas injection equipment allows us to convert the car so well that it is hard to find any difference in performance. Only the cost of running the car is seriously reduced. We took a careful look at all of the LPG equipment currently on the market to convert this car. I had a firm target of full performance on LPG with no change back to petrol at any speed. It is impossible (even for me) to tell which fuel the engine is running on and just as impossible to find the limit of the car's performance on LPG on today's roads. Mr Steven P Sparrow of Go LPG could not properly convert my E39 BMW 540i with 286 BHP to run reliably and (as he promised) to perform exactly like on petrol through the rev range. 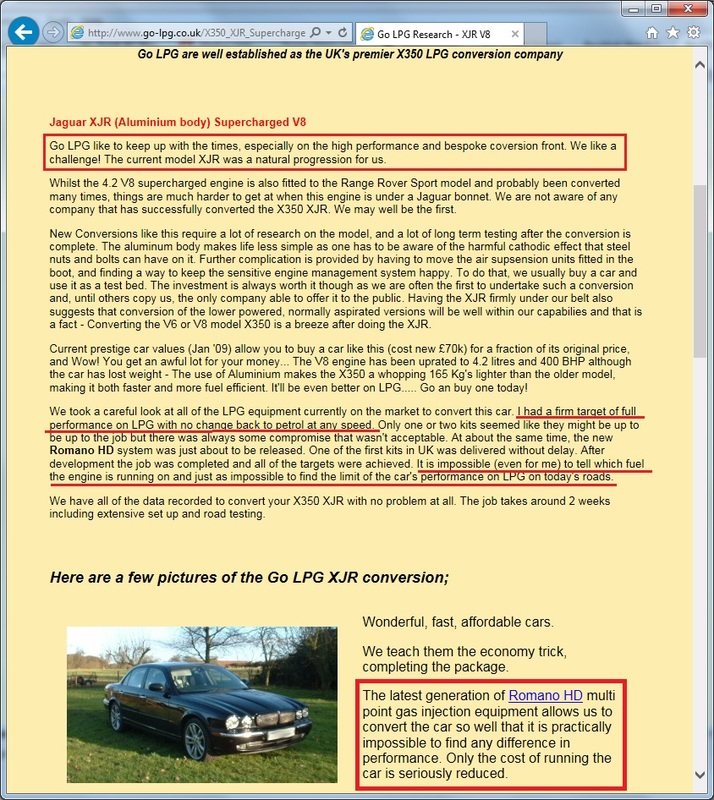 An actual customer who had his X308 Jaguar XJR (375 BHP) converted is unhappy with the reliablity and performance of the LPG converstion by Mr Steven P Sparrow of Go LPG. What Mr Steven P Sparrow of Go LPG spouts about these conversions on his website should really be taken with a bucket of salt!